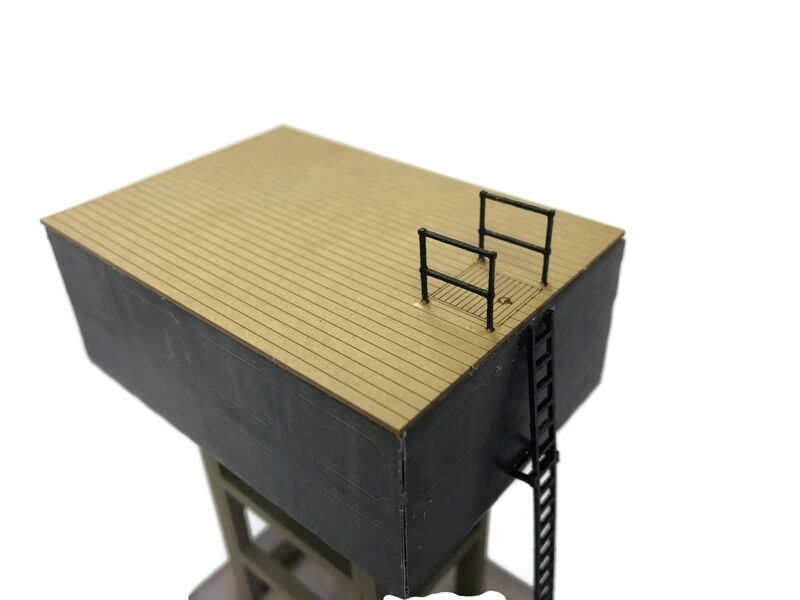 A laser cut Pre-Cast Concrete design Water Tower kit in OO / 4mm scale. Ideal for use on layouts set in the latter years of steam (1950's onwards). 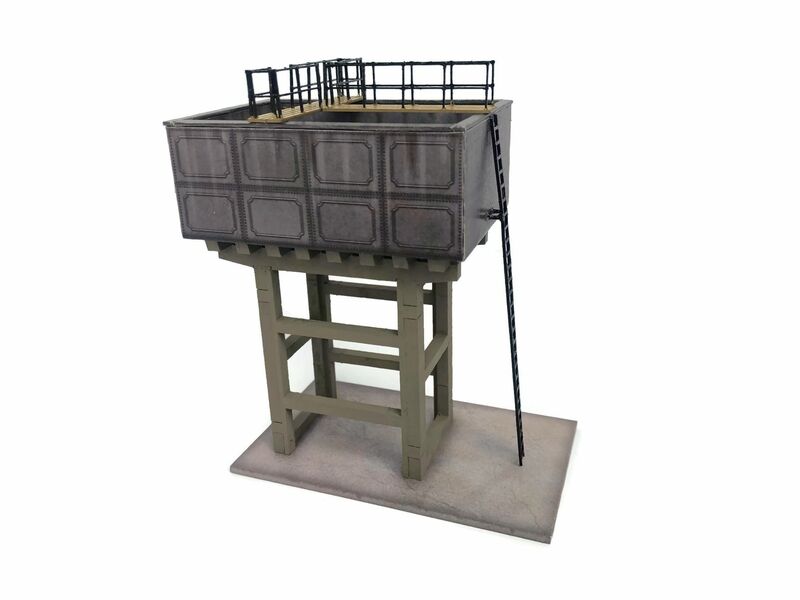 Based on the remains of a real prototype situated near our own headquarters in Leicestershire. 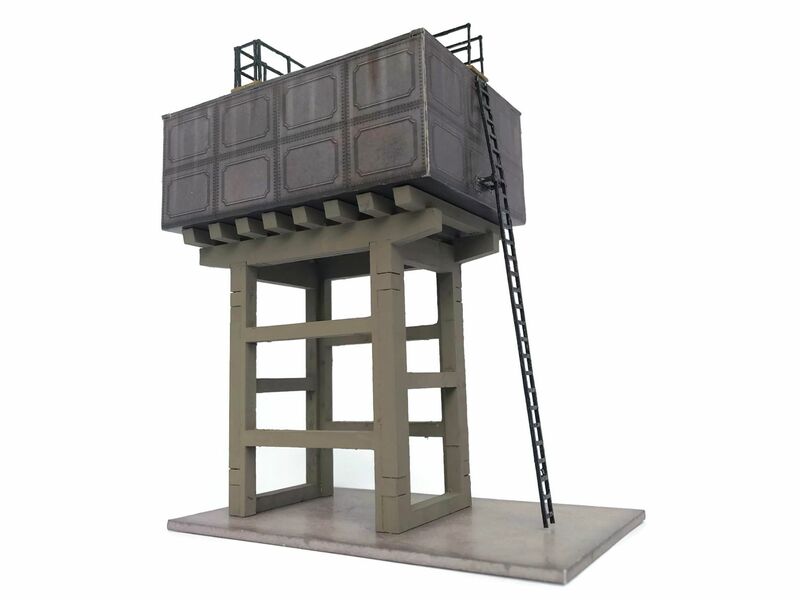 The kit features a concrete tower supporting a large metal effect water tank. 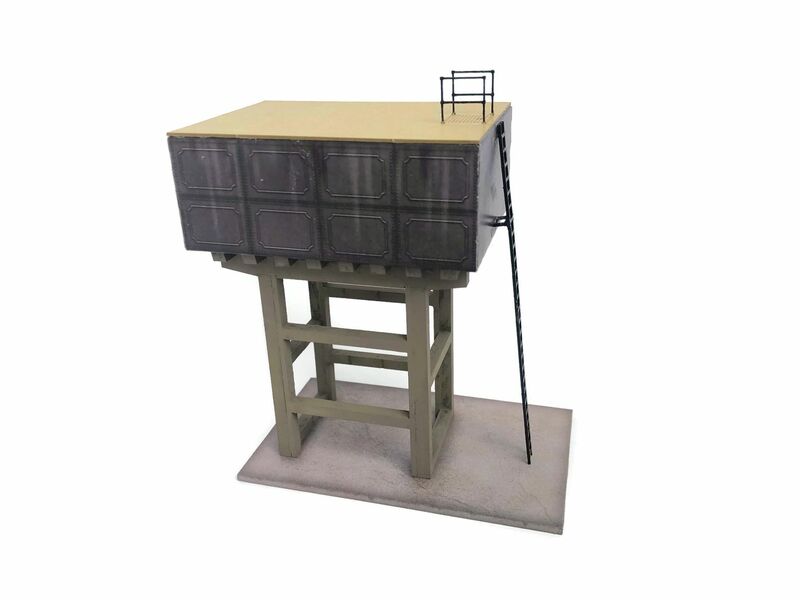 The kit can be built with either an open tank with walkways & railings, or with a closed tank & access hatch. 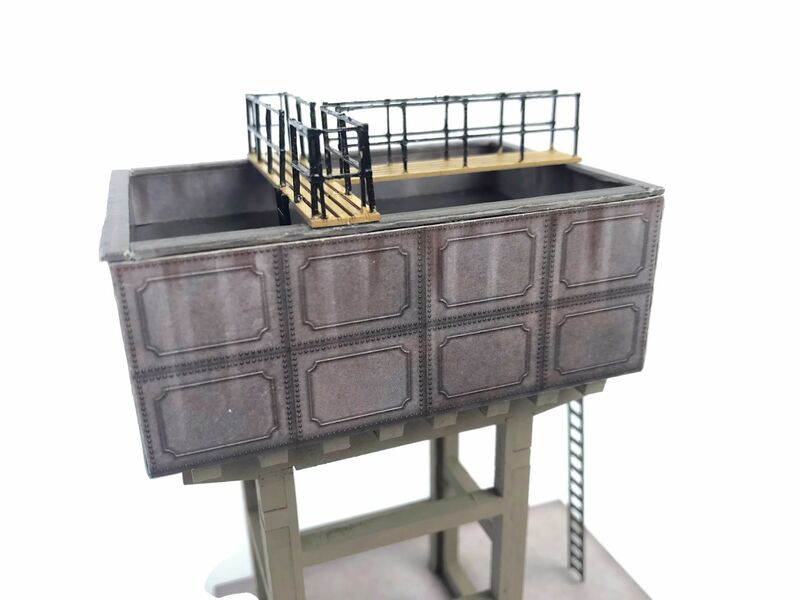 The kit is straightforward to build, and features high resolution, pre-weathered printed paper wraps for the water tank and concrete base. There's also a choice of tank wrap design too! Watch the video below for a complete overview of the kit. MDF parts are supplied unpainted. 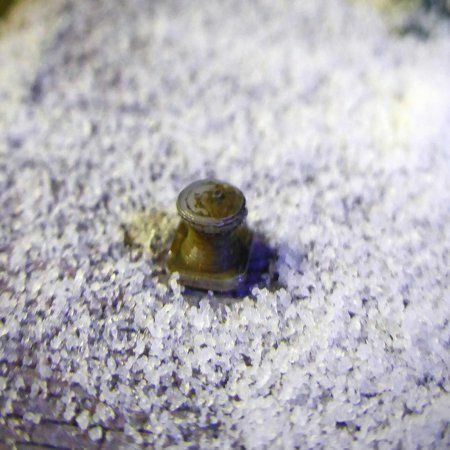 We used Wilko's Coffee Bean emulsion paint for the concrete tower on our prototype.